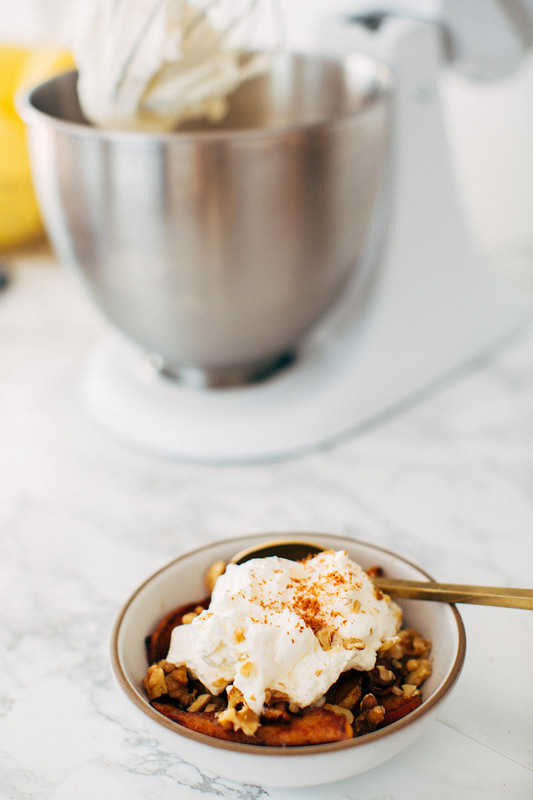 I’ve been on a single serving dessert kick ever since I snagged this KitchenAid® Artisan® Mini Mixer- finding ways to whip up easy, healthy and delicious treats has been a major goal of my pregnancy. 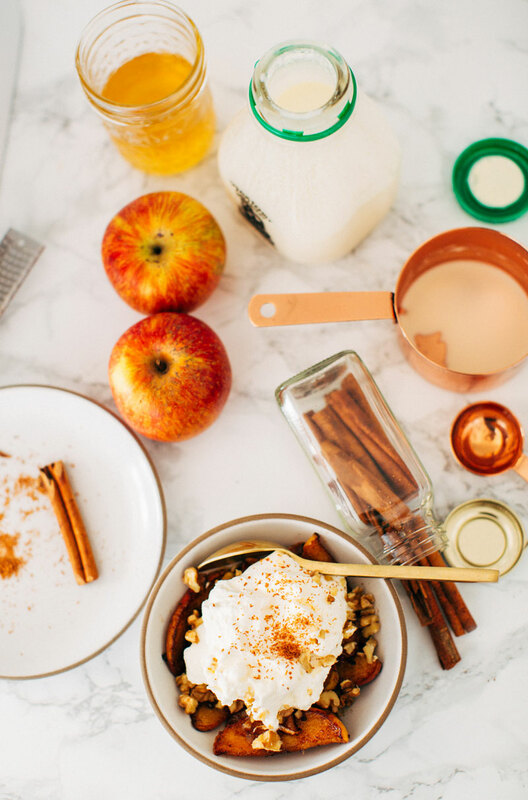 Which is what led me to an apple pie craving, which led me to this apple pie-ish incarnation, which leads me to sharing it with you because keeping it to myself would be practically criminal! My friends, are you into brown butter? I’m sort of new to it, but since I started making it it’s been a weekly addition. The carmelly, nutty flavor is just the BEST! And it’s so easy to make but also makes you feel like legitimate baker genius. Win- WIN! 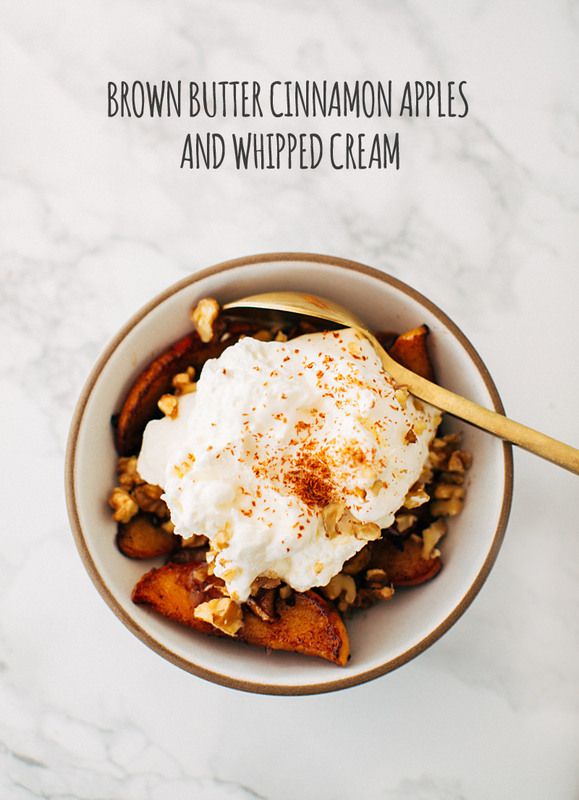 Add apples and cinnamon, top with fresh whipped cream and you’ve got yourself a simple treat that tastes far more decadent than it is! Seriously, thank you KitchenAid® for giving me an excuse to make small batches of whipped cream. My pregnancy has been a million times better because of it. Fresh whipped cream makes everything better, now that I think of it. Place KitchenAid® mixing bowl and wire whip attachment into freezer for 15 minutes before starting and make sure your cream is well-chilled. To make brown butter, heat one stick of butter over medium low, stirring often, in a light colored pan. Cook until butter is browned and has a nutty, toasty flavor. Remove from pan and set aside the extra butter. 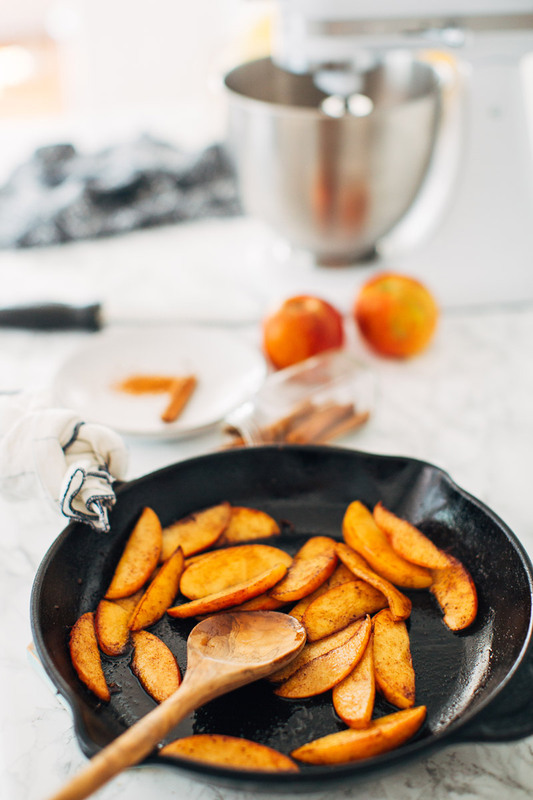 Core and slice apple into thin pieces and add to a medium sauté pan with brown butter and cinnamon. Cook apples over medium-low heat until well softened. 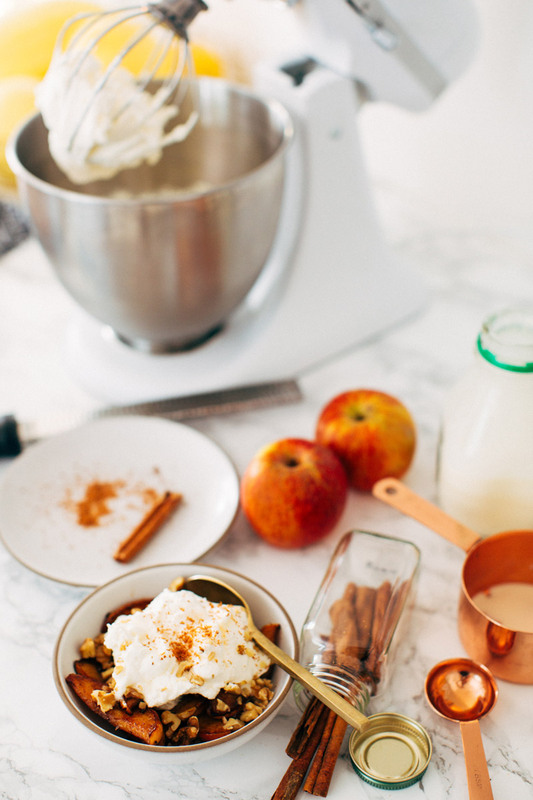 While apples are cooking add cream and honey to stand mixer with the wire whip attachment ready to go. This must be like my favourite dessert ever! I am having a dinner party this weekend and I think this would be a perfect dessert! The instructions initially didn’t show up. I am doing a dinner party this weekend and I think this will be the perfect sweet dish! This recipe looks amazing and I can’t wait to try it! Your blog is inspiring and as a new blogger it’s nice to see such great content! Would love if you would check my blog out as well and give me a follow! This recipe looks amazing and I can’t wait to try it! Love your blog, such great content! As a new blogger I’d love if you would also go and check out mine and give me a follow!